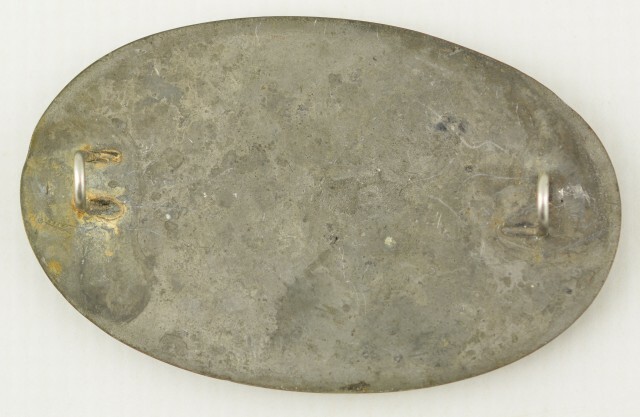 Description: This grouping consists of two pieces in all. 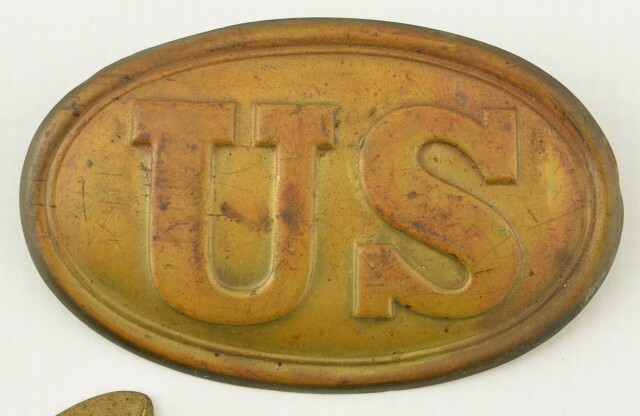 The first is an oval "US" die-struck cartridge box plate which has a mixed mustard brown and ruddy patina with nearly all of the lead filling in the reverse and intact, fairly bright attachment loops. 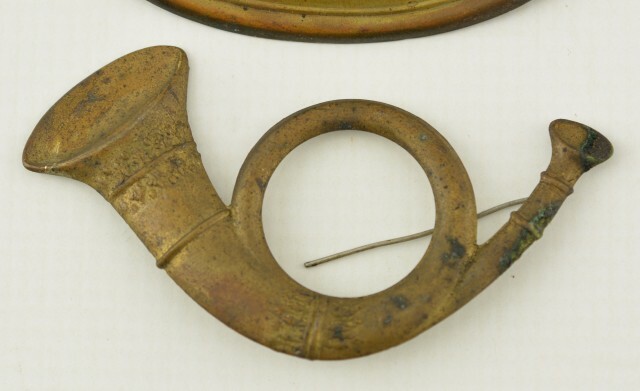 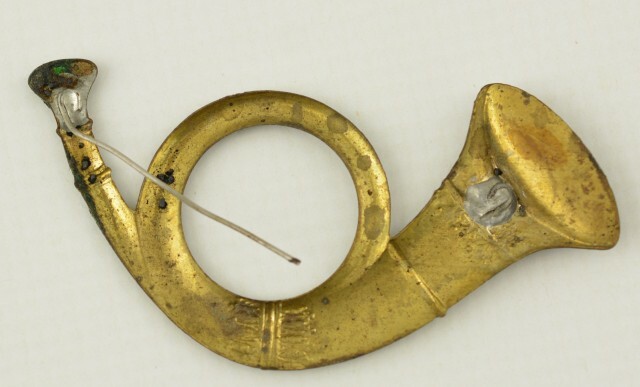 The second is a die struck brass infantry horn hat device that has a dark yellow-ochre patina with dark freckling and a missing attachment wire. 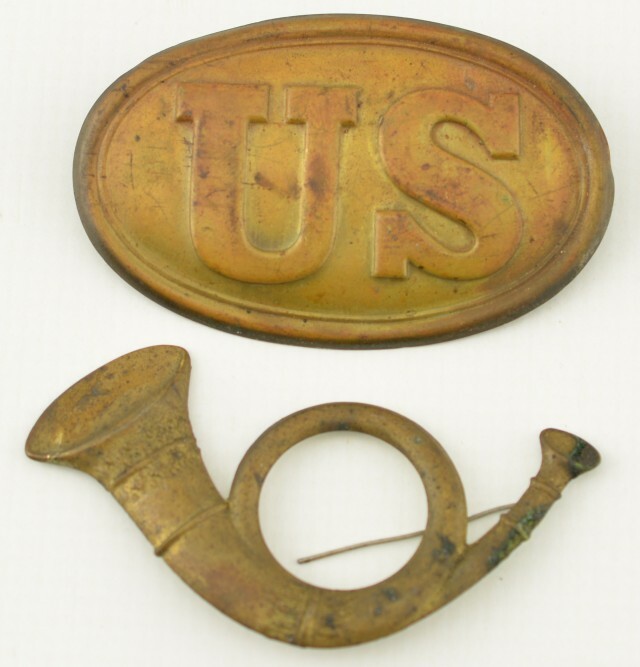 This is a nice grouping of items in very good-fine condition overall.